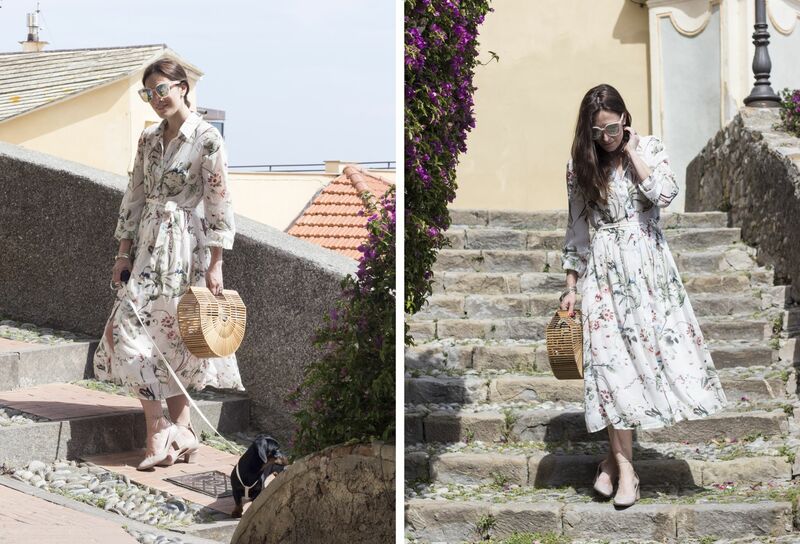 HOW TO STYLE A FLOWER DRESS IN A ROMANTIC CHIC WAY, ON A SUNNY SUMMER DAY. 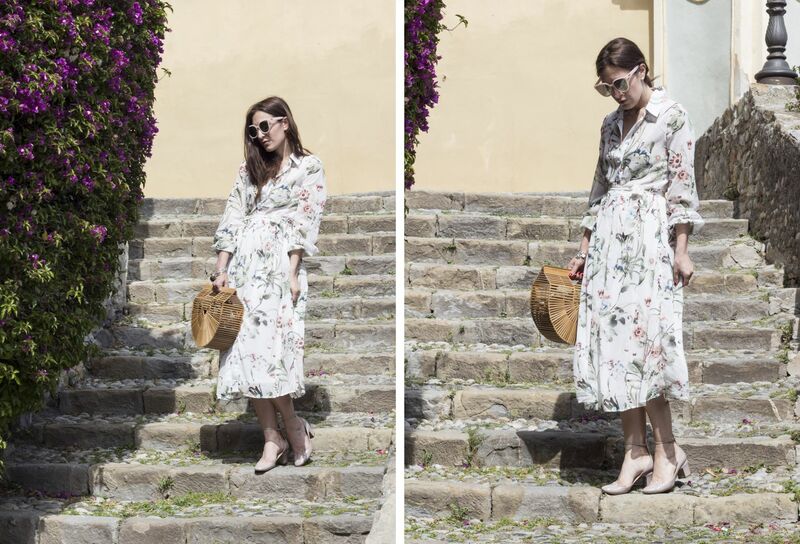 Wearing a romantic floral dress on a family day getaway in Cervo. One the most lovely little town in the Italian Riviera. It so pretty to walk up and down its tiny streets, and to discover unexpected glimpses that unveil the blue see under you. You still be in Italy but it really feels to be in Provence. We had really a good time together and of course we took with us our little doggy, since we would never want to let her home. I was wearing my every-time favorite floral dress that I’ve found on SheIn. I love the soft tones of the print and the light fabric that is perfect also on hot days and that begins to romantically fly when the wind blows. That small belt gives the final touch adding a charming accent to the final result. 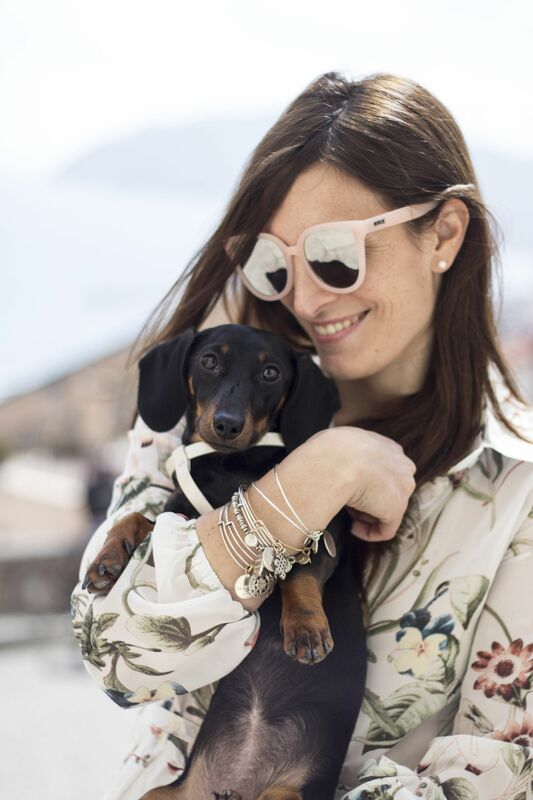 I loved to wear it with pink details and with my highest rotation bag for this summer (you’ve seen it also here and in multiple Instagram pics). i really found that it’s very matchable, for sporty and casual looks but also for charming ones. 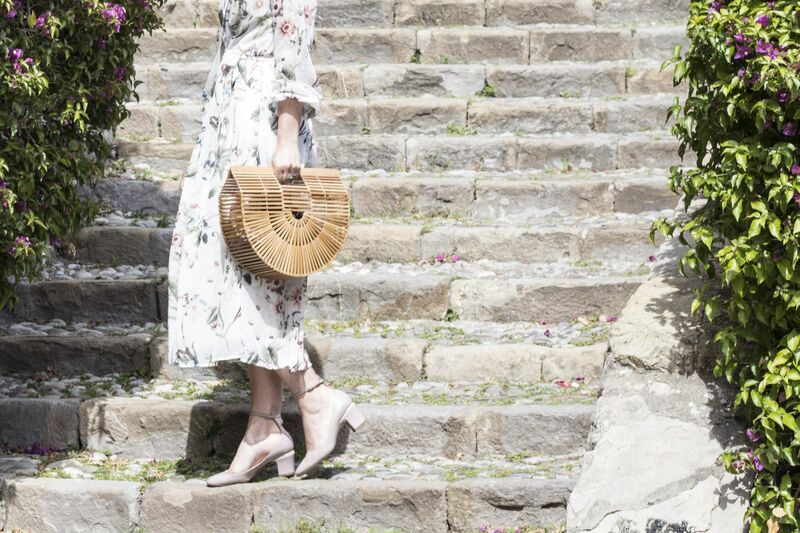 Try a midi-heel instead of flats, for a comfy day-look. It will add a delicious girlish elegance. Previous Post Body Cream and Oil in one unique product, with NIVEA. Next Post Makeup Brush Kit: beauty must have.